As mothers, we experience 2 different kinds of pleasure. The first kind of pleasure is ice-cream pleasure. And then there’s the other 99% of our mothering lives which we don’t pull out our phones to gush over later. Day after day. The routine. The responsibilities. Sometimes pleasant, sometimes less so. And the pleasure we can experience during that 99% of our mothering lives is mountain-climber pleasure. A mountain climber stands from afar looking at the mountain he is about to climb. So beautiful, majestic, what a deeply satisfying accomplishment it will be to reach the top! And when he approaches the mountain, and starts climbing, he gets a blister, and a bee-sting, and he scrapes his knee, but through it all he feels the pleasure of knowing he is on his way to this goal he desires so much. No matter how exhausting and challenging the big climb. 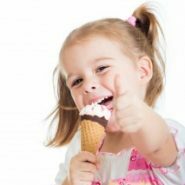 When I heard about these 2 kinds of pleasure, I was reminded of the advice one great-grandmother gave me 15 years ago when I was the extremely overwhelmed mother of 3 children ages 4 and under. Feel the pleasure, she told me, of the mountain climber sore and sweating, who knows one day he will be enjoying the view from the top. I love the analogy! There is something amazing about climbing! Beautiful inspiration! So true and universal. And like a mountain we can’t just quit in the middle, we have to keep going until we get there.